For the past few weeks, I’ve been thinking about my misspent youth. Or at least, that’s what Mark Twain would have called it. I grew up playing nine ball. I began playing pool in October 1988 (I was 11) and played seriously until my first year of college. As you can imagine, I met some interesting people during those years. This week’s death of Philip Seymour Hoffman reminded me of the one professional players I knew. He was both personally fascinating and ridiculously talented—“St Louie” Louie Roberts. Louie was a rarity in the world of nine ball. He combined good looks, charm, and world class skill. 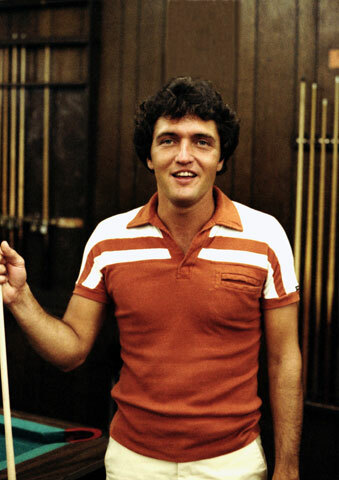 A genuine hustler/money player, he also claimed the greatest of all American nine ball titles, the U.S. Open, in 1979. I spent a limited amount of time around Louie. 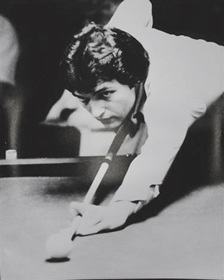 He was the house pro at Highpocket’s before I took up the game and he returned to Memphis from St. Louis in late 1990. 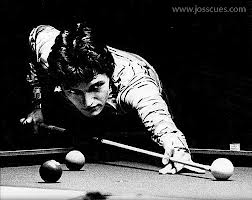 A gifted teacher, Louie influenced many of the players I competed against. Most people assumed he would begin working with me on my game. I never put much hope in that assumption, as his style of play was different than the one I was developing; but I was open to learning what I could. We played exactly two shots of one game together. One Saturday morning, after Louie had been in town for a few weeks, he came into the pool room early. I was practicing on my favorite table and he asked if I wanted to play. Louie racked the balls and I broke. I don’t remember what I made on the break, but I will never forget my next shot. A pool table is twice as long as wide. A full size table, which we played on, measures 4 ½ feet by 9 feet. After my break, the next shot was on the one ball. Nine ball is played in numbered order. The one ball sat almost touching the long rail on the table’s right side. It was between the corner pocket closest to the where a person stands to break and the side pocket. The cue ball was near the middle of the table, slightly closer to the short rail. Or in pool terms, just below the object ball. What I had to do was hit the one ball, but just barely, with what is called a thin cut shot. The one ball would then have to travel about seven feet, without touching the long rail, to the corner pocket on the far end of the table. I had learned from watching Louie for a few weeks to lengthen my bridge on thin cut shots. The added space between my bridge hand and the cue ball helped to line up that particular shot. I took my stance, aimed, pulled my cue back, and shot. I still remember the feeling of that stroke. I knew the instant the cue tip contacted the cue ball that I’d made it. The cue ball struck the one ball paper thin. It traveled the seven feet to the corner pocket and never wavered. Louie exploded with praise. Frankly, I was a bit embarrassed. Fortunately, I had a shot on the two ball and could move on. Unfortunately, I never took that shot. A phone call came for Louie and he had to leave. Within a year, Louie died. Like many uber-talented people, Louie struggled with addiction. His main weakness was alcohol, but he wasn’t limited to it. In the 1970s, Louie was a force of nature. By the 1980s, the chemicals began to erode his skills. The player I watched was a shell of the former national champion. He still played world-class pool, but not top tier. By 1990, Louie was a man near or just beyond forty with nothing to show for life lived at full speed. I would guess that he never paid a dime of Social Security and certainly had no plans for retirement. You see, pool hustlers don’t retire. They give all they have to the game and the game likes to settle up in the end. Whether in despair, depression, or just a stupor, Louie took his own life. We were all sad to hear the news. Louie had moved on from Memphis but hadn’t been gone long when we received the word. Louie’s story resembles many others. John Belushi, Hank Williams, Sr., Tim Richmond, and countless others, with talent that wowed even their contemporaries, died too soon. I’m no psychologist, so I can’t pretend to have an overarching and unifying explanation for this phenomenon. What I do believe, though, is that many of these superstars found their sole identity in what they did, rather than who they were. God created humanity in His image. This truth means that we are unique in God’s creation. His image separates us from the plants and animals. Our talents reflect the image of God. For instance, have you ever noticed that animals don’t produce art? They don’t create things just to be pretty. Humans do, because God is the creator and that aspect of His image inspires creativity. While the fall into sin marred that image, enough remains in each person to produce amazing results. Salvation through Christ brings full restoration of the image of God in man (glorification), but even non-Christians show us a bit about God’s nature by using their talents. The tragedy of talent occurs when giftedness becomes a god, rather than that ability being used to glorify God. In Louie’s case, like others, a talented life ended tragically. Christians have the opportunity to avoid such circumstances. We understand that our abilities glorify God. We don’t have to define ourselves by the speed of our fastball, our singing voice, or business acumen. Our talents are not about us. Our talents are about the God who graciously granted them.